You’re driving a strange rented car down a lonely highway … and the car stereo doesn’t have Bluetooth. Oh, the horror. Step forward Griffin’s new iTrip Auto for iPod, iPad and iPhone, complete with a Apple Lightning connector to keep your iPhone 5 (onwards) charged. The iTrip Auto with FM transmitter and charger for Apple iOS devices is the latest in a long line from Griffin, but this one has an Apple Lightning connection and a one-piece design unlike previous incarnations. 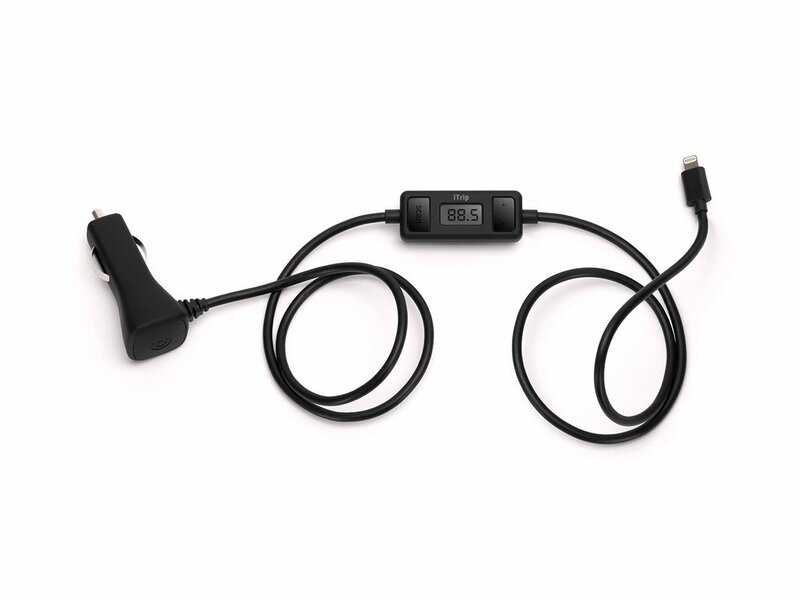 It plugs into a car’s 12-volt accessory outlet. It’s pretty easy to use; press SmartScan on the device and it searches for an unused FM radio frequency. Then you simply tune-in to that frequency to hear the music on your phone being broadcast. Although it is very easy to setup, we were not impressed by the free iTrip Controller iOS app, which is bad news because all music has to be funnelled through it. That apps also lets you access live streaming radio stations via Aha Radio, though you’ll need a generous data plan – not something you’re likely to have in foreign climes. The one-piece integrated cable is neat and the ability to charge and play is also handy on long trips, but the iTrip Auto falls down on its reliance on an app that’s a tad slow and difficult to navigate. However, if you’re happy to leave a playlist to play in its entirety on long journeys, this FM transmitter will do just fine … until Apple decides to change its connector.